Probably one of the most famous, (and most photographed) views in the golfing world. The Swilcan bridge on the 18th fairway of the old course in St Andrews. The Royal and Ancient Clubhouse stands proudly in the background over looking the 1st tee and 18th Green. 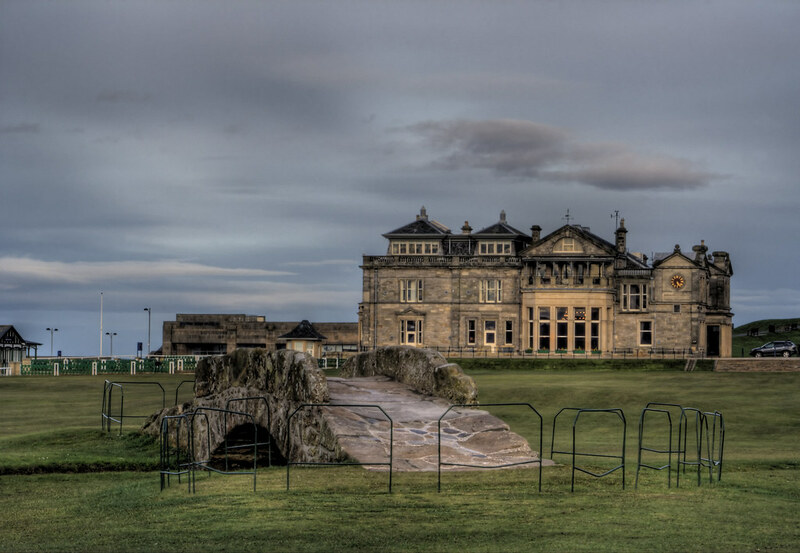 This entry was posted in Scotland, St Andrews and tagged fife, Golf, golfing, hdr, old course, Scotland, scottish, St Andrews, the open, tom morris. Bookmark the permalink.